’Twas if Mrs. Pomeroy’s glare had branded me with a creeping paranoia, for the hairs on my neck bristled, and I occasionally glanced over my shoulder out of an illogical fear of being followed, as I hurried down the steps from the 4th Floor of the Riddle Block. Once behind the wheel of my car, the intensity of suspicion still sat on me unabated. As I drove up Main Street, I constantly looked in my rear facing mirror. I even pulled to the side of the road when I reached the edge of town to allow a vehicle that had trailed me for a mile or so, to pass by; it turned out to be an elderly man who appeared capable of nothing more sinister than navigating his car up the winter thoroughfare. I breathed deep of my own discomfort, put the car back in gear, gripped the wheel, and headed on to the Wallace farm. At the city limits, I decided to stop at the Twin Forks Diner, have a cup of coffee, and settle myself. I pulled up in front and was glad to see but 2 cars parked; that meant a modicum of solitude in which I could collect my thoughts. I was not seated at the counter for but a few moments when that notion was dispelled. 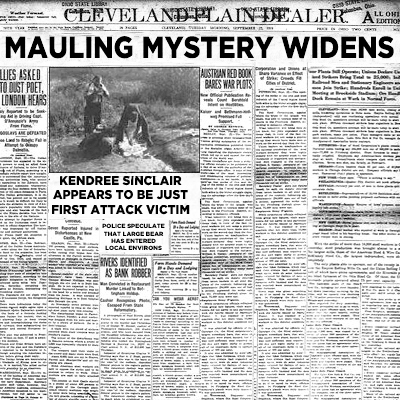 The man 3 stools down had his face buried in a newspaper; my cursory glance showed it to be the Plain Dealer morning edition with the screaming headline. In a spontaneous choreography, the counterman stepped from the kitchen door with a steaming plate of eggs, the newspaper came away from the reader’s face and he exclaimed; Well, if ain’t a bear, I sure would like to know what in the hell it is. The counterman sat the plate down, eyed his customer, and gave a little jerk of his head my direction; the man on the stool looked my way and said, Sorry, Father, didn’t see you there. I smiled and replied, If that is the worst thing I hear today, I will consider myself a lucky man. What’ll it be, Father, the counterman asked me; Need breakfast, it’s on the house. No, thank you, I said; Just some coffee. Coming right up, he said. Then he stepped to the back counter, fetched a cup and filled it from the statuesque urn. What do you think, Father, the man on the stool continued, would anything but a wild animal tear people to pieces like them bodies they found. I don’t really know, I said, anything is possible. The counterman set the cup down, looked at me and spoke in a confidential tone. Clem is convinced that we’ll be overrun and slaughtered by rampaging bears before the week in out. I didn’t say that, Harper, Clem responded; Just hazarding a guess as to what killed those people. Well, Harper replied, I suggest we leave the guessing to those that are qualified to do it, and take care of our own affairs. So you ain’t worried ‘tall, Clem responded, just gonna stick your head in the sand like one of them ostriches and hope for the best. This did not sit well with Harper behind the counter; he slung his towel across his shoulder and said, You’ve come in here and gone on about this mauling business ever since they found that millionaire’s body; Talk is cheap; What do you intend to do about it. Clem on the stool said, I’ll tell you, Harper, I’ll tell you right now; I’m going in to the hardware and buy a box of shells for my 12 gauge; Then I’m going to get my dogs and go huntin’; After I bag that bear I’m gonna skin him and bring him in here for you to cook up in a big stew; It’ll be better than eatin’ crow, I guarantee. Clem, the counterman said, you ought to be a Rockefeller; You got enough gas to keep this country moving for years. You’ll see, Clem said, as he dug into his eggs, when I bring that big old bear carcass in here, you’ll be laughing out the other side. The counterman just shook his head, gave me a commiserating look, turned and went back to his work; I was thankful to finally be left alone to drink my heretofore untouched coffee. In that sudden solitude, as a result of the just concluded conversation, my first thoughts were of Sadie, lying twisted and broken in the brambles on that rocky slope off the rail bed. The weight of guilt had not lessened since the moment I found her lying there; if not for my self-centered obsession with the lost love of my youth, she would probably still be alive; in my heart I knew that to be nothing less than the truth. So what was left to me: retribution, revenge, an eye for an eye. Those tenets had been left behind by the very faith in which I was a priest; forgiveness and justice were the tools that I had been instructed with; not very satisfying to a man who feels the fire of bloodlust in his veins, but I had pledged my duty to a higher calling, and it was either fulfill or abandon that duty. I slipped my hand inside my coat pocket and gripped my revolver, knowing that the choice I would ultimately make would only be revealed to me at the point of encounter with the scum now residing at the Grand Hotel. I released the cold steel, withdrew my hand, and finished my coffee. I stood and pulled a nickel from my pants pocket, and laid it on the counter. 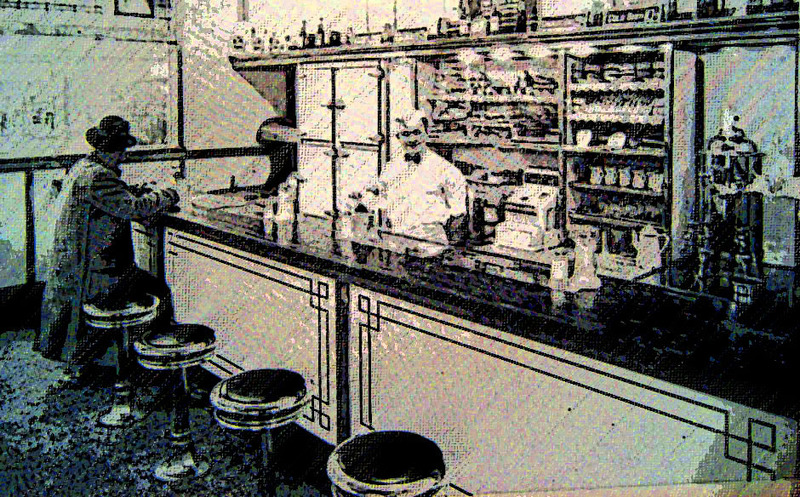 Thanks for the coffee, I said to the counterman; then I looked at the man on the stool and said, Good luck hunting. He nodded, unconvinced and unaware of the sincerity in my remark, then continued to shovel food into his mouth. I turned and walked out of the diner, back into the frigid morning. I spent the rest of the drive to the Wallace farm in a mental tug-of-war; struggling with the twin impulses of reason and rage. I wanted nothing more than to wreak horrible vengeance on those who had defiled Sadie, even while I understood that to give in to that mad destruction, I would be blinded to everything else around me and inevitably misconstrue the meaning of things as they fit into the larger picture. Then Rhea Sinclair struck me like a thunderbolt: she was truly my main concern. The fact of the appearance of Mrs. Pomeroy and her search for the wand buttressed that concept. The wand left the Grand Hotel with Tavish when he led the 4 lottery winners to unsuspected death in his subterranean Spirit Room. Rhea was the only survivor, and undoubtedly the last one to see the wand. Whatever became of it; she did not carry it back to the Halloween Ball, and it wasn’t at the yellow house when Wallace and I arrived. Which suggests that Bloodworth or Sykes must have carried the wand back to the hotel when they fled the scene. Did Sadie know of its location; did she carry it off when she made her escape; is that why they killed her, not because she was merely a runaway whore, but because she had stolen the wand. It would have been a temptation to her; she knew it was valuable; something to pawn in order to start a new life. I came out of my labyrinthian rumination just as I reached the drive to the Wallace farm; a moment longer and I would have shot past it. I turned in and headed up the hill with fresh insights sprouting in my mind like tender young shoots; I finally seemed to have gained the perspective necessary to grasp the whole of the thorny problem. The timing was propitious; a conversation with Wallace would help me flesh out the details and formulate a plan of action larger than committing murder and mayhem at the Echo Lake Grand Hotel. As I rolled up the long drive a sense of apprehension slowly invaded my new-found certainty; what if discerning the riddle facing me was irrelevant to the outcome of events; what if the powers behind the macabre and dreadful events around us were immune to my remedies applied as the result of my logic. I drove my car around back of the big white house and stopped; the scene there violently snapped my awareness back to the present. Wallace’s 2 big Airedales were stationed outside the back door, but their posture told me that something was horribly amiss; normally they would have bounded and greeted me with aggressive rambunctiousness. Instead, one of them hobbled towards the car and the other, stretched out on the ground, merely raised his head and let out a pathetic howl. I got out just as the walking dog reached me; he stopped and looked up with a most pathetic gaze; the cause of his ennui was plainly visible. A long gash ran from the back of his head, across his left ear and down to a point just below his eye, which was red and dribbling blood. The lower part of his flop ear was gone and dried blood speckled him from his crown on down his left leg. I gently laid a hand on the right top of his head and said, What in God’s name happened to you. The walking dog hobbled behind me as I went over to the dog lying on the ground. When I gazed down on him, I understood immediately why he had not moved upon my arrival. The whole of his right side had been mauled terribly, exposing muscle in some spots. I knelt to examine him and determine if anything could be done to help him; his short shallow breathing was the answer to my wondering. He raised his head slightly and looked at me with a cloudy eye, then returned his head to the ground. I stood and saw the back door to the house standing partially open. 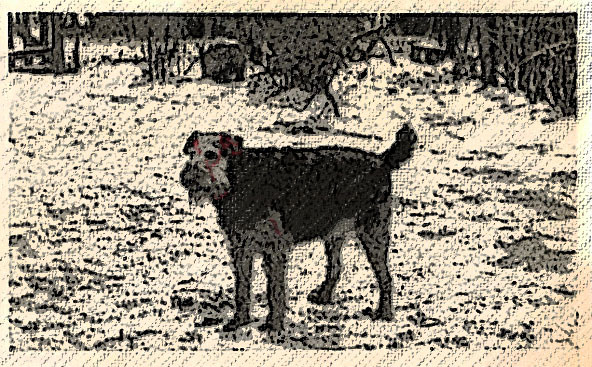 I looked down at the walking dog and said, Where’s your master; it was an inane moment that served no purpose other than to delay my going inside and finding out just what state Wallace might be in; if he’d left his wounded dogs out here untended, he may very well be severely wounded himself. I crossed the yard, walked up the porch steps, stood under the roof and braced myself for what I might find. Then I pulled the screen open, pushed the inner door, and stepped inside. You are such a great storyteller! I love your characters, and getting to know each and every one of them. You always leave me wanting more. Thank you for enriching my world dear friend. Oh nooo! I still don’t know what has happened to the dog…and where’s Wallace?